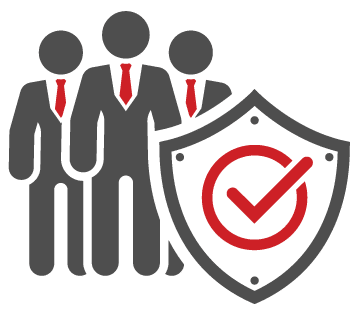 Pro-Tech International Security Systems, Inc. provides its services to you on this web site, subject to the following Terms & Conditions, which may be updated by us from time to time, without notice to you. This web site information is provided on an “as is” basis. The user expressly agrees that the use of the ProTechweb.net (or any other domain that may be used by Pro-Tech International in presentation of products and services) is at the user’s sole risk. All information contained herein is presented in good faith and subject to changes, errors, and omissions at any time. Accuracy and reliability of such information is neither guaranteed or warranted. Specifications, measurements, and product data are for generalized informational purposes only. Contact a Pro-Tech International representative to confirm the accuracy of such information. Requests for security advise and quotations, and/or requests for any information from this web site, does not constitute the binding of a relationship. All details contained herein neither represent nor warrant the full specifications of any product or service and are presented as an overview. All products and services are subject to availability and this web site makes no representations as to suitability. Neither Pro-Tech International Security Systems, Inc., principals, officers, employees, third party content providers, developers, and affiliated entities, assume any liability whatsoever either expressed nor implied, for the use of this web site and all associated features, programming, coding, and links. Pro-Tech International Security Systems, Inc. makes no representation of the web site being error free. The user of this web site shall hold Pro-Tech International Security Systems, Inc. harmless for any loss of business, damages, delays, interruptions, or damages from the use of this web site and all its features. The information contained in this communication, including attachments is privileged and confidential. It is intended only for the exclusive use of the intended recipient. If the reader of this message is not the intended recipient, or the employee or agent responsible for delivering it to the intended recipient, you are hereby notified that any dissemination, distribution or copying of this communication is strictly prohibited. If you have received this communication in error, please notify us by telephone immediately. Pro-Tech International Security Systems, Inc. does not collect information for the purposes of distribution or resale. Information that may be obtained is only for internal office use to service the quotation, or to address the inquiry made from or to this web site and the Pro-Tech International Security Systems, Inc. and it’s affiliates. The content of ProTechweb.net is suitable for children of all ages. Links that may direct the visitor to Web sites beyond the bounds of the site are out of our control to maintain. However, we do attempt to verify the suitability of such links, and we encourage any concerns that may occur. This Web site does collect non-personal information by way of computer logs and Google Analytics. This information is for the use of Pro-Tech International Security Systems, Inc. for the purposes of web site management. Should “cookies” be implemented, it is for the sole purpose of presenting content to the visitor in a convenient manner. Pro-Tech International Security Systems, Inc. grants you a limited license to access and view the contents herein. All content included on this site, such as text, graphics, logos, button icons, images, audio clips, digital downloads, data compilations, and software, is the property of ProTechweb.net or its content suppliers and protected by United States and international copyright laws. The compilation of all content on this site is the exclusive property of ProTechweb.net and protected by U.S. and international copyright laws. This web site and all content herein, may not be reproduced, duplicated, copied, sold, resold, marketed, or otherwise exploited for any commercial purpose. You may not frame or utilize framing techniques to enclose any trademark, logo, or other proprietary information (including images, text, page layout, or form). ProTechweb.net, and other marks indicated on our site are registered trademarks of Pro-Tech International Security Systems, Inc. or its subsidiaries, in the United States and other countries. Other Pro-Tech International Security Systems, Inc. graphics, logos, page headers, button icons, scripts, and service names are trademarks or trade dress of ProTechweb.net, Inc. or its subsidiaries. Pro-Tech International Security Systems, Inc.’s trademarks and trade dress may not be used in connection with any product or service that is not Pro-Tech International Security Systems, Inc.’s, in any manner that is likely to cause confusion among customers, or in any manner that disparages or discredits Pro-Tech International Security Systems, Inc.. All other trademarks not owned by Pro-Tech International Security Systems, Inc. or its subsidiaries that appear on this site are the property of their respective owners, who may or may not be affiliated with, connected to, or sponsored by Pro-Tech International Security Systems, Inc. or its subsidiaries. By visiting ProTechweb.net, you agree that the laws of the state of Florida, without regard to principles of conflict of laws, will govern these Conditions of Use and any dispute of any sort that might arise between you and ProTechweb.net or its affiliates..